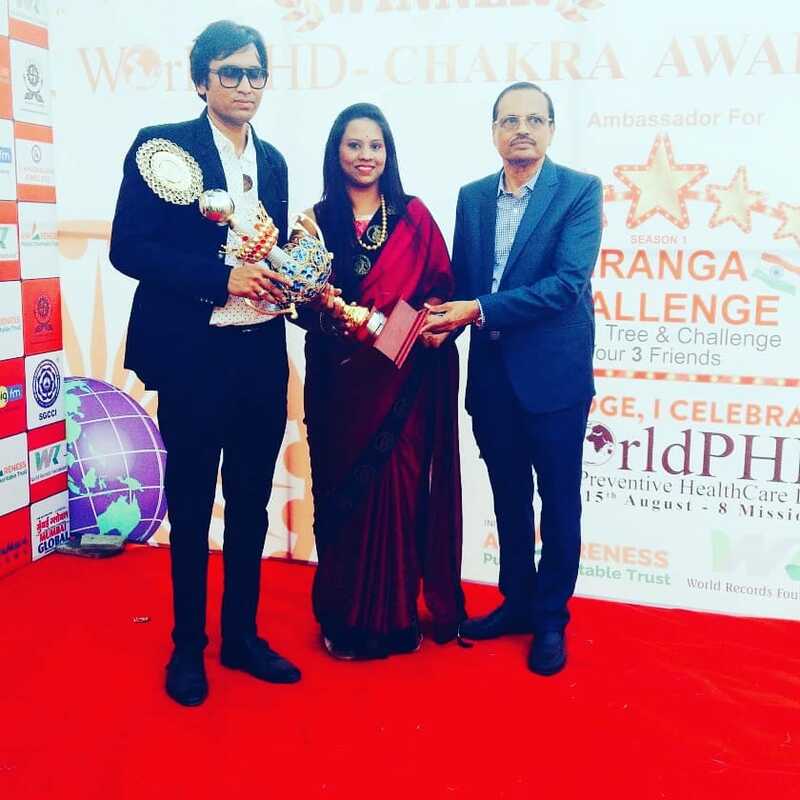 Social activist Sonali Vora bring laurels to the city after she received the worldPHD Chakra award for her work towards saving & nurturing the environment. 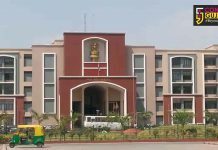 She planted 25000 trees in Baroda in last quarter and contributed towards green Vadodara initiative. Sonali runs a NGO – UMANG FOUNDATIONN that help’s needy girls and women financially and make them independent. She is also associated towards the green movement and distributed 3000 hand made paper bags free of cost at Vadodara in past one year. 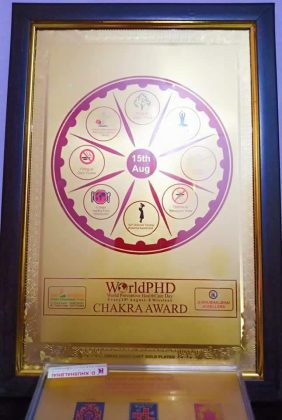 Her feat was acknowledged again and this time she received the World PHD DIGNITORY Chakra award in a ceremony organised in Surat. 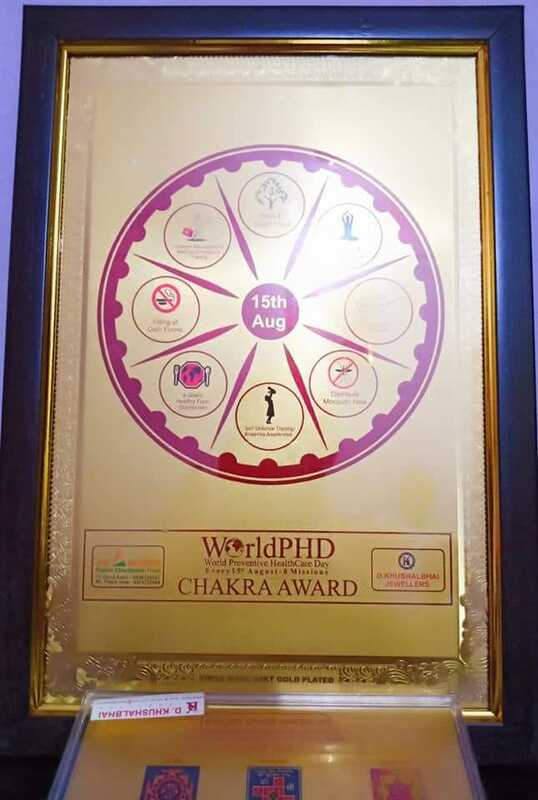 ‘It is a very proud moment for me to recive the World PHD DIGNITORY Chakra Award. 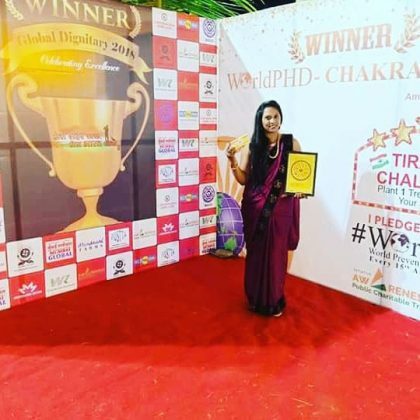 Not only the Chakra award but I was also honoured with 2 more awards. I am proud to be able to do something for my city and try to make our Vadodara a better and beautiful place to live. A place which nobody needs to compare with abroad. I was pleasured to meet awardies from 38 country & 15 cities,” said a jubilant Vora. 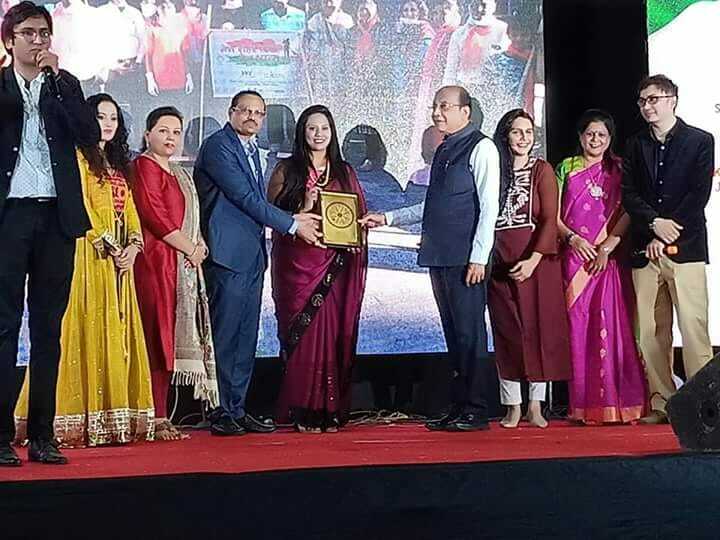 There were categories like plantations, distribution of food, anti tobacco, self defense , swatchta, mosquito related, Abhiyan, Yoga and Meditation, Women employment to choose. Sonali Vora was the only one from Gujarat and received the Gold plated award for her contribution towards the green environment. Participants from Singapore, Africa, Malaysia, Bhutan Nairobi took part in the event.